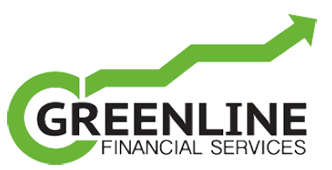 Green Line Financial Services, LLC is committed to promoting sound, positive growth oriented financial strategies to its client base throughout the Midwest region of Indiana, Ohio, Kentucky and Florida. Our philosophy is simple. Never lose our client's principle. Of course, for most investors and traditional financial advisers, that's far more difficult to do, than it is to say! At Green Line Financial Services, it's what we do everyday. We promote powerful principle wealth protection strategies that are contractually guaranteed to grow our clients wealth 100% free of national and global stock market risks. Our clients are well insulated from tomorrows disasters, but that's only a part of our story. Our clients are also educated with regard to how their money actually works for them in the real world: How interest really works; how fees on our money work and the long term impact those fees actually have on our income. How taxes, (necessary in most cases, but not all! ), can be managed and paid efficiently, or inefficiently. How most people actually drive money away from their own personal circle of wealth and into the circle of others by following the everyday "conventional wisdom" espoused by our traditional financial planning system. We teach our clients what the financial system doesn't want "everyday people" to know: How to to grow, maintain, and transfer wealth while doing it without paying fees, and assuming virtually no market volatility or risk! Retirement for most of us is about having sufficient income regardless of how long we live. Every client wants income that is tax efficient, indexed for inflation to protect our purchasing power and that continues for our spouse after we are gone. At Green Line Financial Services, we understand these unique financial needs. Financial peace of mind can only occur in retirement when principle and incomes are contractually guaranteed and have the ability to increase over time. After all, what good is IF-come?